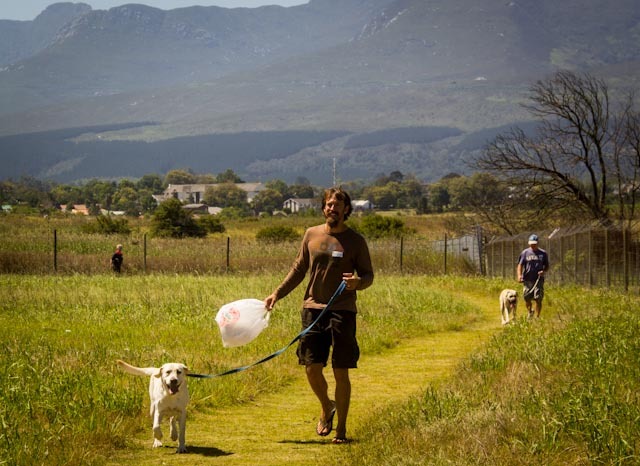 Kip walks a rescued yellow lab at the SPCA in George, South Africa. 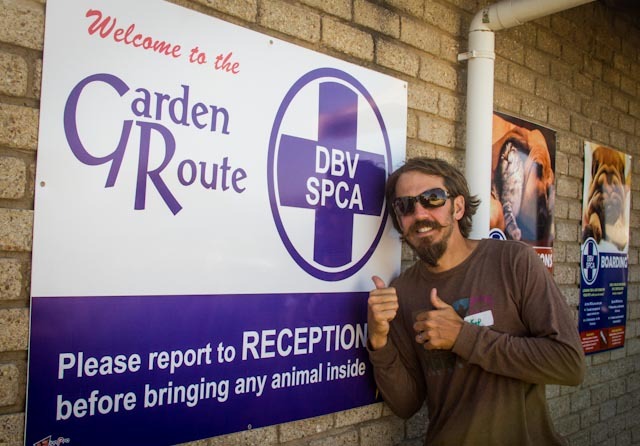 The Garden Route SPCA received some surprise visitors last week from the United States. Liz Zipse and Kip Patrick, a married couple from Washington, DC, are volunteering their way around the world and stopped by the SPCA during one of its twice-weekly "animal socialization" sessions. While at the facility, the couple joined a group of animal-loving George volunteers who walk dogs, cuddle cats and play with puppies, all of which are up for adoption. 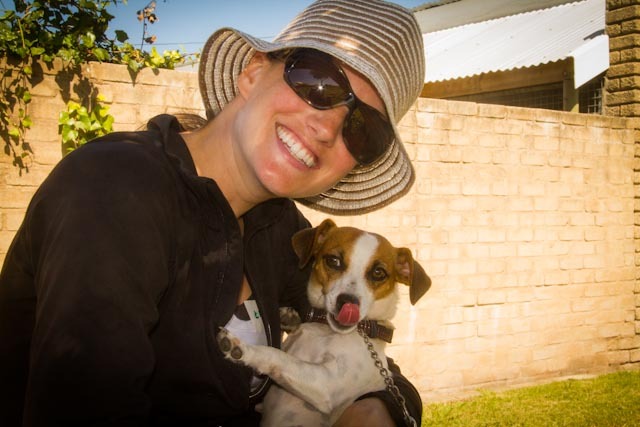 "Our time at the SPCA in George was some of the most fun we've had in 10 months of volunteering all over Africa and Asia," said Liz Zipse, who, with her husband, is volunteering at least one day every week of their trip. 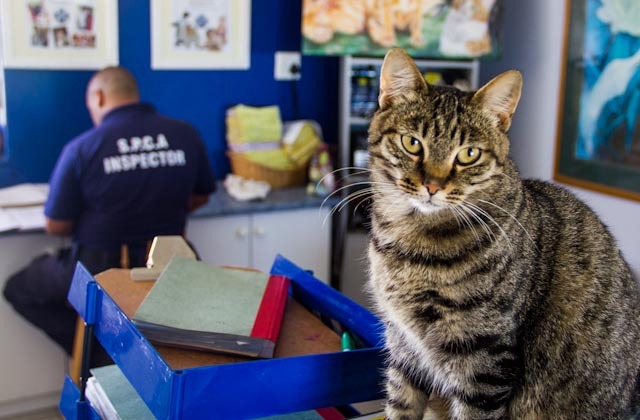 "The animals love the attention they get from our volunteers, and the volunteers really enjoy their time with our dogs and cats, which stay with us until we can find them a permanent, loving home," said Senior Inspector Salomé Botha. 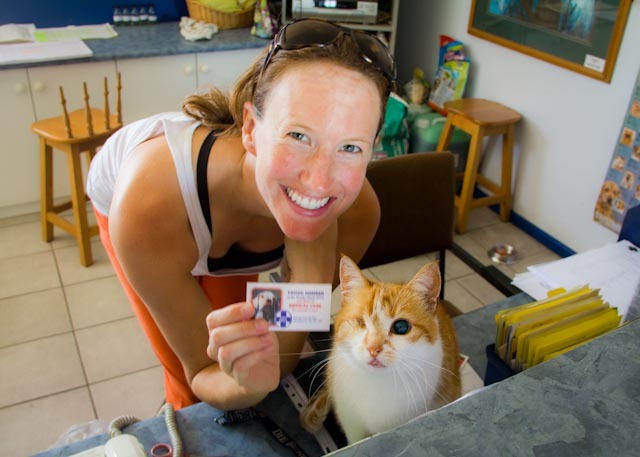 "We were happy Liz and Kip picked the Garden Route SPCA as part of their weekly volunteer activities... and were delighted that they took out memberships as well... our first American members!" 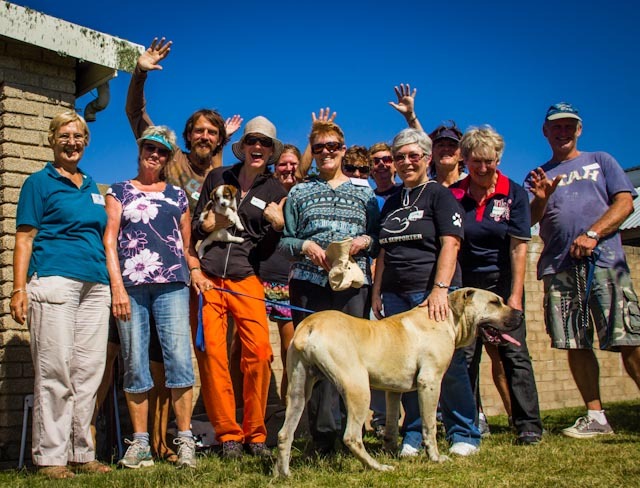 The SPCA welcomes volunteers to walk dogs and socialise puppies and cats. (Volunteers must be 16 or over.) The sessions take place 2.00pm to 4.00pm every Wednesday and 9.00am to 11.00am on Saturdays. For information on how you can become a volunteer, call Heather at 072 877 2911. For more information on the travels and volunteer activities Liz and Kip, visit their website at www.1of7.org.